The Whaly Robot Swimming Pool Cleaner really is like a whale, sucking up everything in its path as it roams around the bottom of your swimming pool. Quick and efficient, and very quiet, it can be used in above-ground, and all flat bottomed, pools. 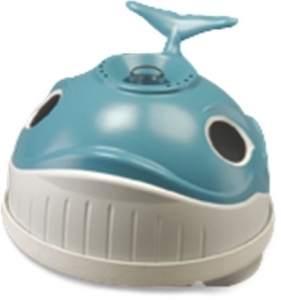 Incorprating a fun 'whale' design, it also improves water circulation.